I love lazy Christmases... LOVE them. I would be perfectly content hanging around the house all day in our PJ's, watching our fave Christmas movies on a loop, and smiling as the kids loved on their newly acquired toys and gadgets. But I still love that big Christmas dinner.... just not all the work that goes into it. No one in our families hosts a big ole dinner for us to go to either. My parents stopped doing that years ago and took a cue from A Christmas Story and go to the local Chinese buffet restaurant on Christmas Day each year. This year I will be making this amazing, tender, and flavorful Slow Cooker Apple-Cranberry Bourbon BBQ Pork Loin Roast. 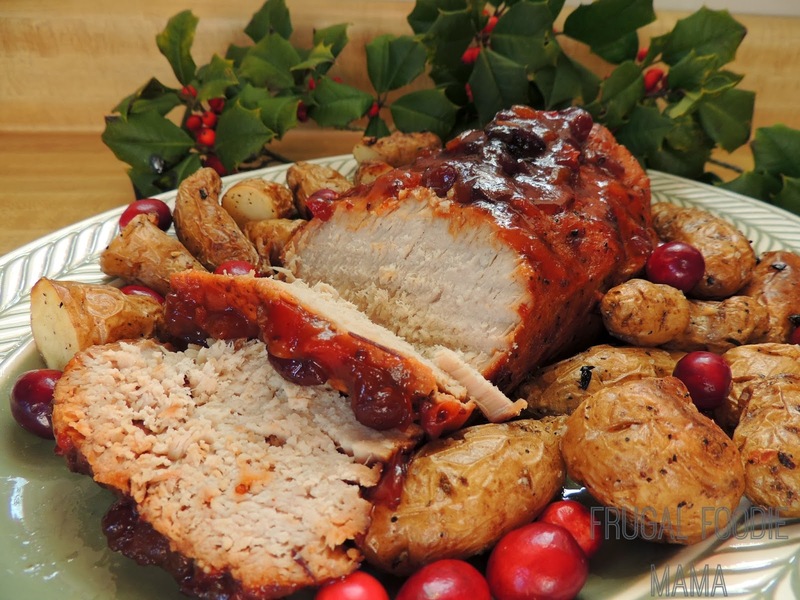 I added a few tasty ingredients to holiday-fy the Slow Cooker Sauce- cranberry sauce and cinnamon. 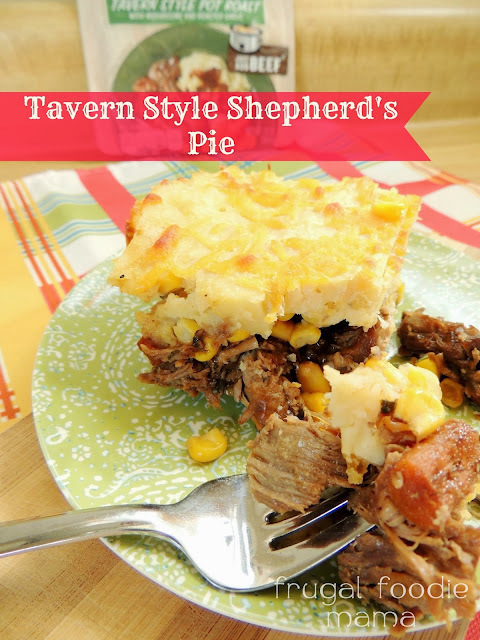 And you can serve it with your favorite sides. I actually just paired the roast with some crispy oven baked garlic fingerling potatoes that took me less than 25 minutes to roast in the oven. In a small bowl, mix together the kosher salt, pepper, and Dijon mustard. 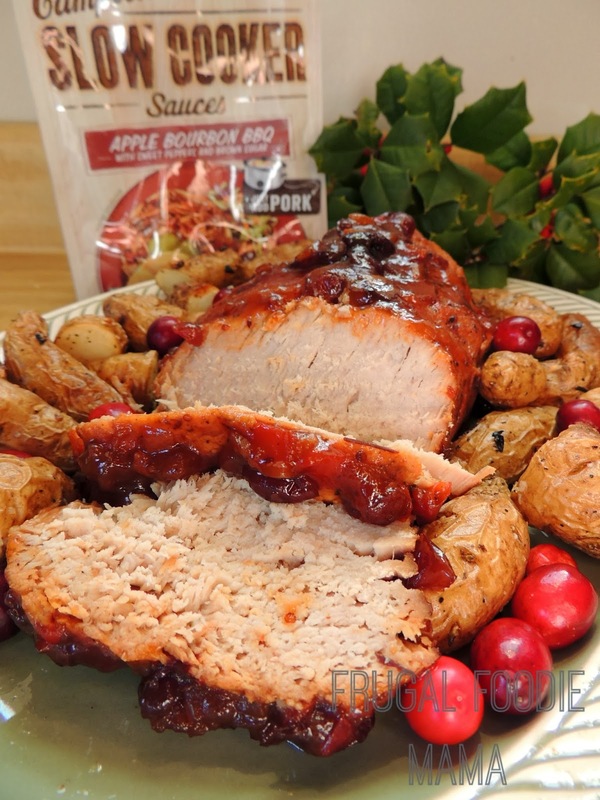 Rub the mixture into all sides of the pork loin roast. In a large skillet or dutch oven, heat the olive oil over medium-high heat. Once heated, brown both sides of the crusted pork loin roast, about 3 minutes on each side. Place the roast in a 6 quart slow cooker. 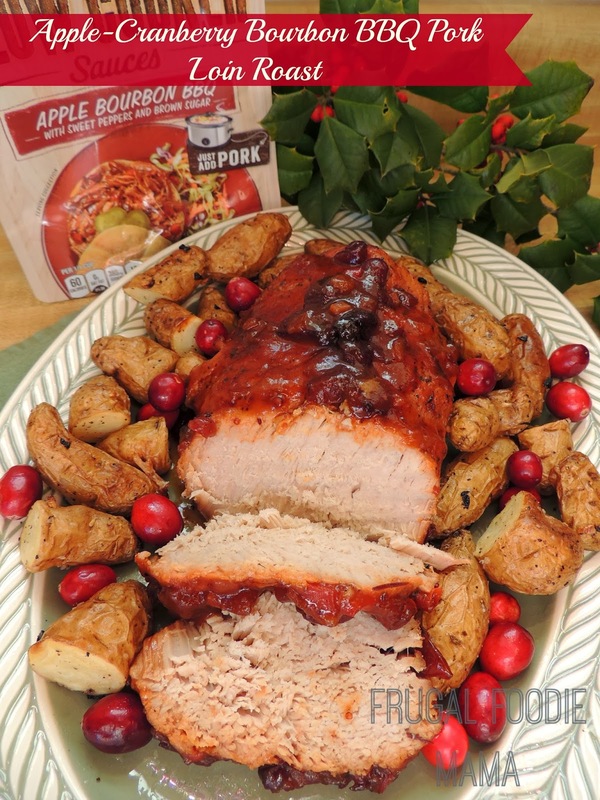 In a medium bow, whisk together the Apple Bourbon BBQ Slow Cooker Sauce & the cranberry sauce. Pour over top of the browned roast. Drop in the cinnamon stick. Remove the roast to a cutting board and allow it to rest for at least 10 minutes before carving. Carve, plate, and ladle some of the leftover sauce in the slow cooker over top. What do you traditionally do on Christmas Day? If you are looking for more tasty holiday & weeknight dinner solutions, be sure to visit Campbell's Slow Cooker & Skillet Sauces on Facebook and Campbell's Kitchen on the web.